I have a tendency towards anxiety. The kind of worry that radiates in my chest and aches in my belly. It has never been so crippling that I have felt the need for professional help and I have been helped by progressive relaxation tools I learned from a book many years ago. Deep breathing and exercise also help. I am very in tune with my anxiety. It surfaces when I need to make a decision or address a problem and I don’t feel in control. Sometimes the issues are trivial or at least very fixable, but my rational brain can’t convince my gut that I shouldn’t be stressed. I won’t call them silly, but my anxiety worries are not life-or-death. Maybe it is a leaky roof. Maybe it is a grandchild getting her feelings hurt. Maybe it is Christmas. Maybe it is thinking about what needs to be done to sell our house and we don’t even plan on selling the house. I have been trying to get a handle on Medicare options for several months. I haven’t decided whether I know too much or not enough. I wake up many nights at 2:00AM and start thinking about Supplemental versus Cost* plans. I walk the dog and my stomach cramps thinking of Competitive Bidding. Part B insulin and test strip brands are a constant concern. This stuff is important, but not so important that I should be losing sleep. But anxiety does not always make sense. I finally have premium costs and plan information for 2017 and I am making worksheets to compare my options. I have only one decision that could have an impact beyond my first year on Medicare and that is the Supplemental versus Cost plan decision. Supplemental (Medigap) policies are only required to accept me (a person with pre-existing conditions) during the first 6 months that I am on Medicare. After that I can be denied coverage or charged higher rates. At the same time there are guidelines about having guaranteed Medigap rights and some of those scenarios will grant me needed flexibility in the future. The things that stress me are discrepancies like one plan agreeing that insulin for a pump will be covered under Part B and a similar plan saying it won’t. (That can be a big deal because Part B insulin does not go into donut hole calculations.) I think the plan saying no is wrong, but what do I do about it and do I dare risk signing up with that company? I need to consider that company because it happens to offer CGM coverage. Yes, I am lucky to have the option of CGM coverage with one plan! But I need to consider the whole package, not just one thing. More homework to do. Another thing that is stressful is trying to figure out what pump and testing supplies cost. For the most part I have been using the negotiated prices from my current BCBS policy. But one friend shared his test strip cost info with me and it looks as though he is paying 20% of what I consider a high retail price compared to what a negotiated price should be. Am I right? Right or wrong it certainly makes me wonder what prices I should be using to figure out my anticipated costs. Another thing that kicks me in the gut is competitive bidding. This is only relevant if I choose a Supplemental plan because Cost plans use their own suppliers. DPAC has published a couple of blogposts recently that scare the bejesus out of me. One post was written by a person with diabetes on Medicare and the other was written by someone who owns a durable medical equipment company. These are great articles to spur advocacy, but frightening for those of us anticipating Medicare. One benefit of participating in the DOC is that I have support from other people affected by diabetes. A downside is that I read stories of people having nightmare experiences with Medicare. As a blogger, I get emails from readers sharing their stories and problems. At the same time I know many people with Type 1 who are doing fine on Medicare but those people don’t write much about their experiences. I mostly hear the bad stuff. I have anxiety. Some of it is unreasonable. I live in Minnesota and have several good (not perfect) options for Medicare. My husband still works and his income will provide a buffer from the shortcomings of Medicare. At the same time some anxiety might be reasonable because healthcare reimbursement at all levels in the United States is under siege and people with diabetes are getting hit particularly hard. I expect that my next Countdown to Medicare post in December will outline some specifics of my choices. Obviously cost is a major concern, but so are things like drug formularies, test strip brands, and requirements for getting pump supplies. I have already eliminated choices that do not network my current doctors and I am looking at the plans of two different companies. It is likely that I will choose a plan that allows me to avoid competitive bidding because anyone with a tendency towards anxiety might not survive that disaster. **Minnesota is one of very few states that offers Cost plans. These plans are hybrids that combine features of traditional Medicare and Advantage plans. Most people reading this post will not encounter Cost plans in their Medicare journey. I recently read two articles by Dr. Niran S. Al-Agba, a pediatrician in Washington State and blogger at MommyDoc. I discovered her posts through KevinMD.com and have added her blog to my Feedly list. As a grandmother with 40 years of Type 1 diabetes, you might wonder why I plan to follow the writings of this young pediatrician. I think it is because her thoughtful views on the roles of patients and physicians in our healthcare system (or lack thereof?) give voice to some of my opinions and experiences. Understands their health condition and its effect on their body. Feels able to participate in decision-making with their healthcare professionals. Feels able to make informed choices about treatment. Understands the need to make necessary changes to their lifestyle for managing their condition. Is able to challenge and ask questions of the healthcare professionals providing their care. Takes responsibility for their health and actively seeks care only when necessary. Actively seeks out, evaluates and makes use of information. 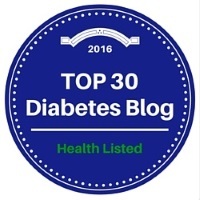 I don’t know about you, but I believe this list describes me and many of us living with diabetes. At least most of the time. The second article by Dr. Al-Agba is titled “Building Better Metrics: Patient Satisfaction Can Be Done Right!” Building on the first article, she writes that physicians are often more comfortable with “standards of care” and need to become more comfortable in the role of giving information, sharing options, and empowering patients to take more control. She goes on to discuss that sometimes that means disagreeing with a patient’s decision while respecting the right of the patient to make that decision. That idea really hit home for me based on a recent experience with a new physician. My longtime internist retired this summer and suggested that I follow one of his younger partners to a nearby clinic that is part of a large provider system. Until now all of my doctors have been part of independent clinics. Such practices are starting to be an anomaly in big cities and I was not opposed to moving into a “system.” I knew that it was probably a good idea to narrow my network of doctors as I look to future health insurance and Medicare restrictions. In August I had my annual physical with the new internist. He asked several questions and for the most part seemed to accept my answers. Many queries seemed to be coming from a computer-generated checklist which I suspect was labeled “Old Lady with Diabetes.” I had to fight the urge to say “Hey, that’s not me!”–because of course that is me. Our only area of conflict was over statins which I have resisted up until now. In May I wrote about my previous doctor’s support for my decision to avoid that class of drugs. I felt a bit bullied by the new doctor but given that it was his first week in the new system, our first meeting, and already an overly long appointment, I decided to let it go. And I agreed to give statins a try. Two months later I am experiencing clear side effects from the statin drug and have chosen to stop taking it. One thing that I love about my new medical system is a complete online health record along with the ability to send secure messages to my health team. I was able to share my statin decision without talking to anyone or feeling that I was hiding something from the new medical team. I wrote several drafts of the email and believe that I ended up with a respectful but confident and empowered message. I did not get a reply to the message nor did I expect one. I am sure that it will be a item of discussion next time I see this doctor. I am very comfortable with the idea that he can strongly disagree with my decision. However, I need to feel that he respects my right to make that decision. If not, I will look for a new internist. However, based on most of the August appointment, I am optimistic that as we get to know each other, we will do just fine. Fingers crossed.